Kentucky what?? 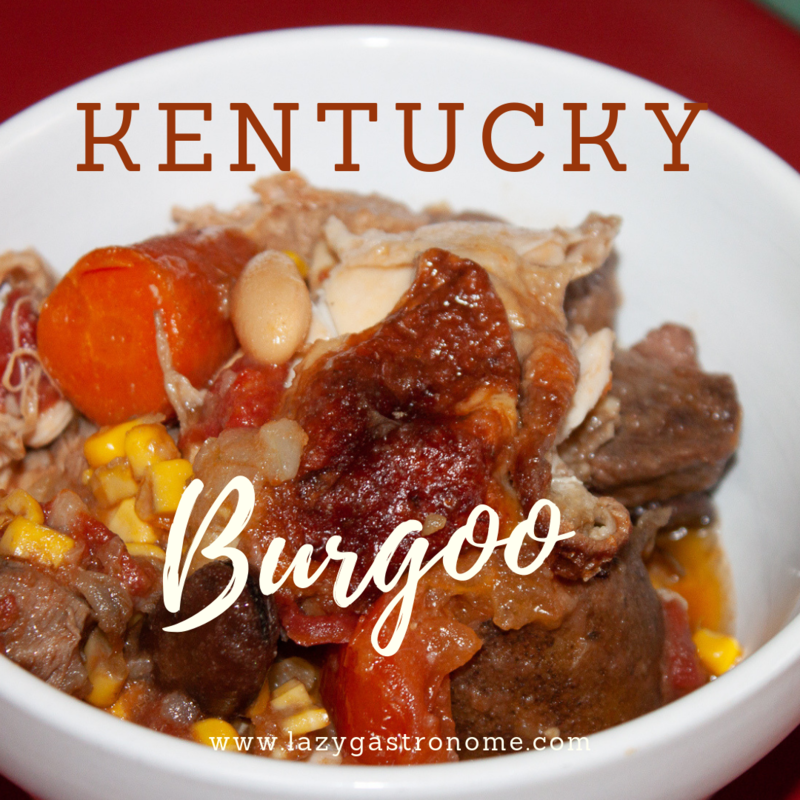 Burgoo! This dish is a staple in many parts of the state. 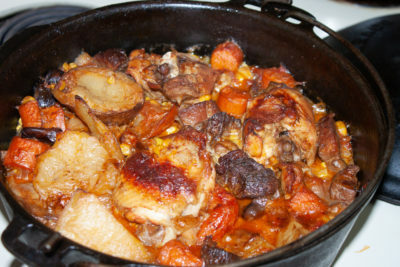 Its simply a hunter’s stew. 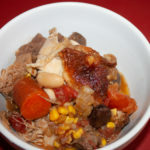 There is really no particular recipe other than it has three kinds of meat (usually game), beans, a tomato element, corn and potatoes. You can add just about anything else to it! 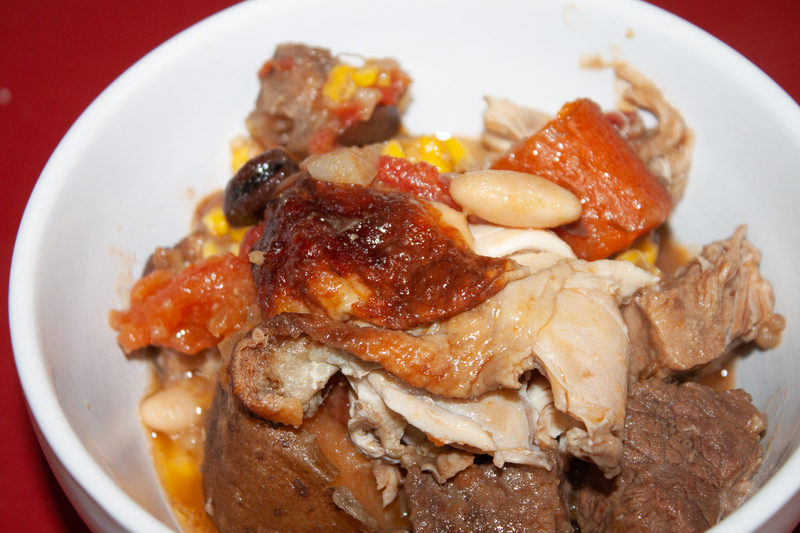 Here is my version of burgoo. Feel free to adapt your own tastes to it, just let me know how it comes out! I’d love to hear about your version. 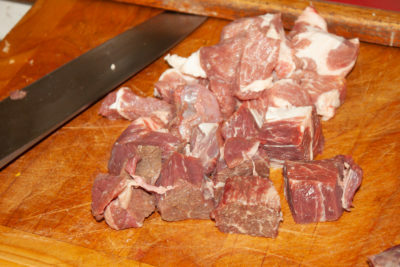 Start by cutting the meat into bite sized pieces and browning it in a large, cast iron dutch oven. Add just a little bit of oil to bottom first. 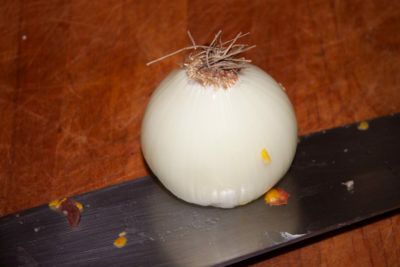 A little hint for cutting an onion – cut the stem side off, but leave the root side intact. Peel off the skin and then slice. The roots will hold the onion together while you are slicing, making it easier to get uniform slices. Cut up the vegetables and potatoes and put them in the pan. Add all the other ingredients and stir. Bring the mixture to a low boil, then cover and reduce heat to low. 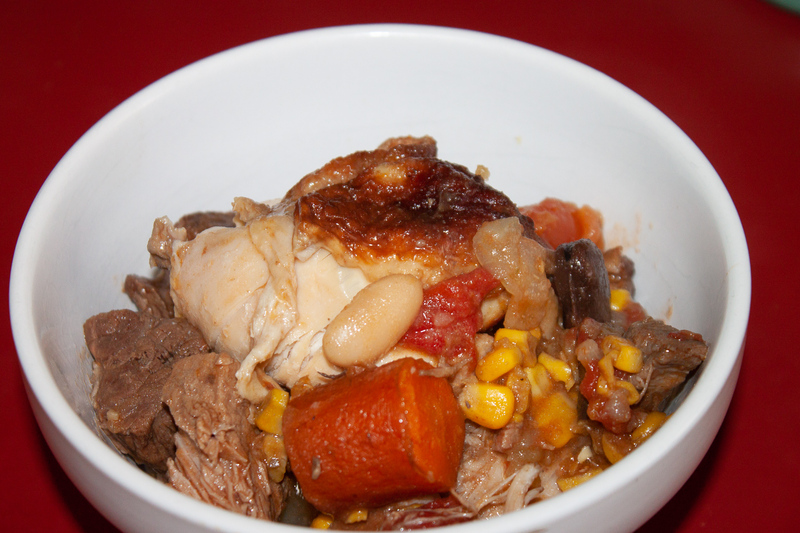 Simmer for about 30 minutes, then bake in the oven at 350° for about 2 hours. 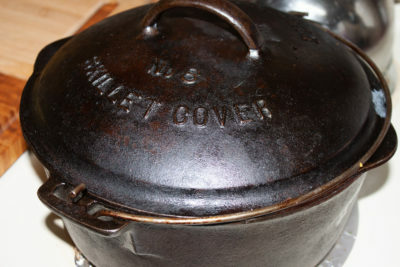 Remove the cover and cook another 30 minutes. Serve hot and steaming – maybe with a shot of good Kentucky bourbon! 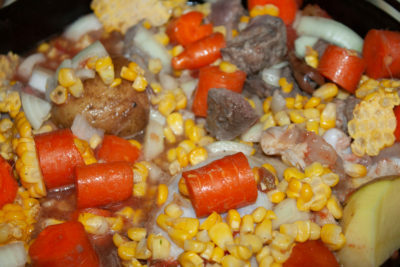 Hunter’s stew with a variety of meats and vegetables. Cut up the vegetables and potatoes and put them in the pan. Add all the other ingredients and stir. Bring the mixture to a low boil, then cover and reduce heat to low.